I’ve been working on a new project which is my new podcast “This Mobile Life”. It pays homage to one of my favourite podcasts which is “This American Life“. 2) Being mobile – living & working remotely, mobile office. 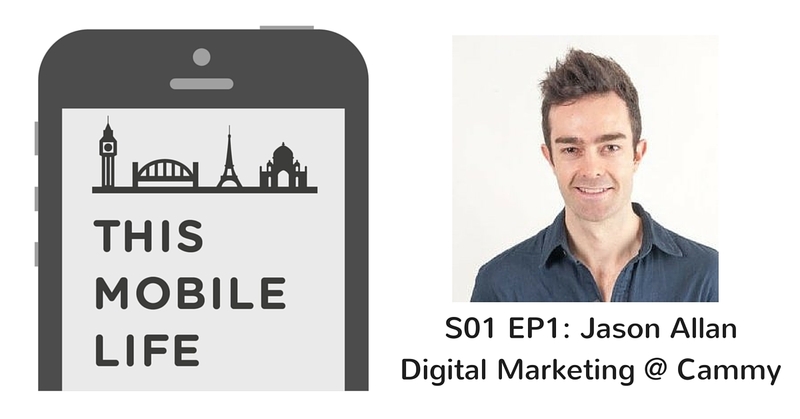 The first episode is with Jason Allan, Digital Marketing Manager from Cammy. Cammy allows you to monitor your home anywhere, anytime. Jason and I discuss all things mobile. From mobile marketing, customer discovery, conversion funnel, marketing web vs mobile apps, and cross platform experience. Its my first episode, so I would love to hear your feedback! Please comment below. I am in the process of making the podcast available on different formats. It is currently available via the Inspiredworlds blog and Soundcloud. Get iTunes podcast download here. For those that prefer video, there will be a YouTube video available shortly. If you liked episode 1, listen to Episode 2 where we continue the conversation about SAAS, analytics and his favourite marketing stack!